To make everyone see the best in them, which in turn will make everyone see the need to contribute to the development of a better world. Leaders: Everything in the world rest upon the shoulder of a leader. Corruption is another major problem facing our world because of individuals’ selfish interest and pursuit of wealth by all means. \r\n- Lack of knowledge and will to learn, which has made majority of the people to celebrate mediocrity. Leaders are major solution. Leaders have a great sphere to influence. There choices and decisions affect what the followers will be or do. \r\n- Awareness programs / developmental programs that can make the masses see leadership opportunity from another perspective different. From a wealth acquiring means. Platform for personal development, which make everyone maximize their potentials. I’m results oriented, using all my skills, knowledge and any available resources to achieve any desired goal within any given frame of time through hard work, persistence and endurance to solve all problems and withstand challenges while maintaining a good relationship with both clients and colleagues. I am Single and my Nationality is Nigerian. My State of Origin is Osun. I speak English and Yoruba. I am a teacher by occupation. 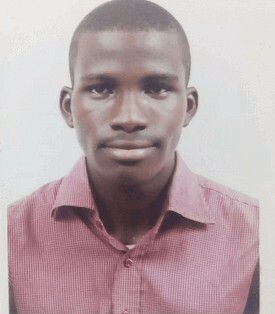 My Educational Qualifications include: Federal University of Technology, Minna, Niger State, Nigeria with a Bachelor’s degree in Physics with Electronics. My Professional Certificate is from John Hopkins Bloomerg School of Public Health, Baltimore, USA. (E-centre learning); Certificate in logistics for health commodities; a Certificate in Monitoring and Evaluation fundamentals; a Certificate in Data use for program manager. Projects Handled include: Effect of resistivity on electrical grounding which is a research project carried out as a Final year student of the federal university of technology Minna, Niger State in 2014. My Work Experience in organizations entails: Niger State Broadcasting Cooperation. Position/Department. : Industrial Trainee/Engineering Department (May 2013-November 2013). Job: Engineer Organization: Nigeria Christian Corpers Fellowship Yobe Chapter. Position/Department: President/ Chairman (July 2015- July 2016). Duties were: Responsible for coordinating and planning daily activities of the organization; Prepare risk schedules to identify and quantify risks and mitigation measures. Monitoring and evaluation of every project. Preparing of work performance quarterly to the headquarters. My Personal Qualities are I am Results oriented; Excellent Interpersonal and Negotiation skills; Hard work and problem solving mind set; Endurance and persistent character.